Taking time for prayer can be a challenge among the distractions we face in what many are beginning to term "the digital age." Still, we all have a natural need for spiritual guidance, and it is prayer that fills the void in our hearts. The Church has a rich prayer life, and though we are always seeking new ways to interact with God, some of the "core" prayers that have been taught through the centuries can be rediscovered in our context today. Let us remember some of these traditional prayers with fondness while re-igniting and revitalizing our spirit of prayer through these timeless Catholic Prayers. 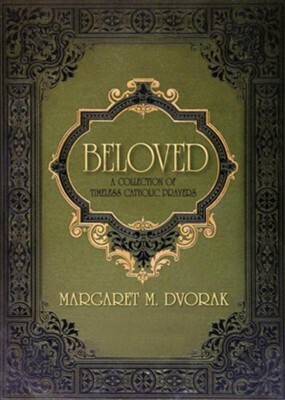 Beloved: A Collection of Timeless Catholic Prayers is a book of traditional catholic prayers with accompanying scriptures which help focus the reader while quieting their minds from outside distractions. I'm the author/artist and I want to review Beloved: A Collection of Timeless Catholic Prayers.